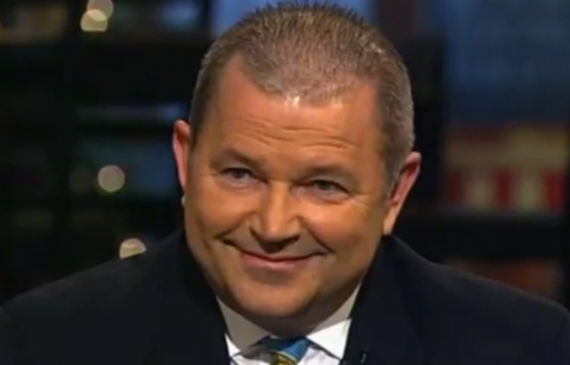 David Lane is a shadowy Republican operative and Christian Supremacist who seeks to effect a Christian theocracy on the United States. The holier-than-thou Lane has also been part of an illegal conspiracy designed to defy IRS regulations pertaining to contributions to political organizations. Mr. Lane is also excessively antagonistic to the LGBT community. The logical question is, who is funding this dress rehearsal for Election Day 2018? And how were they able to organize and mobilize such an impressive crowd on such short notice? There are many moving parts there even after my drivelectomy. Overall, Lane is comparing gun violence to abortion. 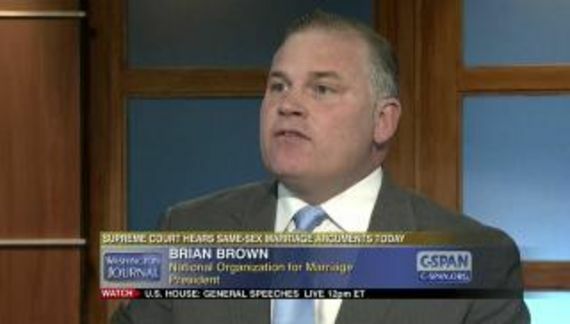 Abortion is a legal and constitutionally protected medical procedure that Lane disapproves of. Gun violence describes the criminal actions of a person or people which result in others being maimed or murdered. Abortion and gun violence are very different and unrelated to each other. Mr. Lane is entitled to his opinion regarding abortion. However, it is intellectually dishonest to essentially suggest that we should not bother with gun safety because (according to Lane's religious beliefs) abortion is more harmful. Claiming that gun safety advocacy is a liberal endeavor is the NRA's compulsory response ever since they tied gun proliferation to the Republican Party in the early 1970s. Take the GOP out of the equation and gun safety cannot be assigned to a political persuasion. Then there is the hypocrisy. If Lane is so obsessed with the well-being of a fetus then the morally consistent position would entail at least equal concern for the well-being of people through common sense gun safety reforms. The reverse, by the way, does not hold true. In other words, an advocate for gun safety can also be an advocate for reproductive choice. Gun control is intended to reduce criminal acts while reproductive choice is a constitutional right. Note the disingenuous coupling of the last two paragraphs that I quoted. Lane is saying that abortion is bad “but” David Hogg wants to relinquish his Second Amendment rights. It makes no sense at all. I do not like vanilla ice-cream but my neighbor doesn't like Tide detergent. Gibberish. Furthermore, gun safety (“gun control” if you insist) is not an insult to the Second Amendment. There exist many lawful restrictions on guns including, for example, the ownership of machine guns and the carrying of a weapon into a court of law. A prime goal of gun safety advocates is better background checks. I would love to hear Mr. Lane explain how keeping lethal weapons out of the hands of criminals and crazy people is an abrogation of the Second Amendment. Lane cannot because the opposition to common-sense regulation is just a political expediency intended to benefit the GOP with votes. Moving along, in spite of his statement, Lane offers no evidence that Planned Parenthood financially supported March for Our Lives. Lane doesn't like the fact that Planned Parenthood remains eligible for Medicaid reimbursement for medical procedures having nothing to do with abortion. (Federal funding of abortion is prohibited by the Hyde Amendment.) He is assigning responsibility to Planned Parenthood for gun safety advocacy that he also disapproves of on behalf of the Republican Party. Lane is essentially, and dishonestly, stating that Planned Parenthood is evil and supporting a demonstration which is thus equally evil. It is logical and intellectual nonsense. Furthermore, the financial and logical support of the March for Our Lives is not, as Lane states, “the logical question.” The logical questions are what do these people want? Why do they want it? What can I support or oppose and why? Then note the disingenuous coupling of the last two paragraphs that I quoted. Lane is saying that abortion is bad “but” David Hogg wants to relinquish his Second Amendment rights. It makes no sense at all. I do not like vanilla ice-cream but my neighbor doesn't like Tide detergent. Gibberish. Furthermore, gun safety (“gun control” if you insist) is not an insult to the Second Amendment. There exist many lawful restrictions on guns including, for example, the ownership of machine guns and the carrying of a weapon into a court of law. The prime goal of gun safety advocates is better background checks. I would love to hear Mr. Lane explain how keeping lethal weapons out of the hands of criminals and crazy people is an abrogation of the Second Amendment. Lane cannot because the opposition to common-sense regulation is just a political expediency on the part of the GOP. I have seen similar sentiments from other religious right organizations including Family Research Council. Tying gun control to reproductive rights is shamefully dishonest and illogical. That doesn't mean that the attempt is not influential. Repeated frequently enough it becomes part of the credo.